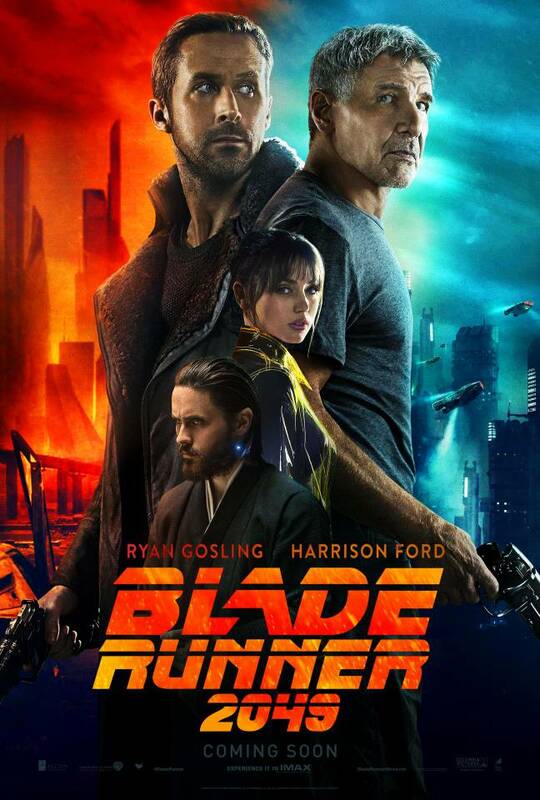 Starring: Ryan Gosling, Harrison Ford, Ana de Armas, Jared Leto, Robin Wright, and Dave Bautista. Whenever thinking about some of the top directors working today and in the past, names like Nolan, Scorsese, Spielberg, and others come to mind. Having previously watched films such as Sicario, Prisoners, and Arrival, which are all excellent films, I had no doubt that this new and up-coming director would continue his streak. 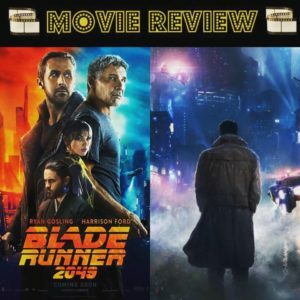 After seeing his latest work, Blade Runner 2049, Denis Villeneuve is one of the greats. This work of art floored me. It’s impossible to talk about Blade Runner 2049 without the topic of cinematography. Roger Deakins, the director of photography, deserves every single possible award a cinematographer can receive. If he isn’t standing on stage giving his winning speech at The Academy Awards, I will officially be checked out of the Oscars. This film had some of, if not the most stunning visuals I’ve ever seen. The futuristic city of Los Angeles felt breathtakingly real, gritty, and dark every time Ryan Gosling’s character “K” walked down the streets with neon signs and holographic advertisements surrounding him. Hans Zimmer and Benjamin Wallfisch provided the dramatic score that shook the theater I sat in as K soars between buildings in his flying vehicle. I absolutely recommend seeing Blade Runner 2049 on the biggest screen possible. I would not like to talk much about the plot of the film as I feel the less you know going in, the better. I can say with certainty, that this movie will not be for everyone. It has already divided fans who are either loving it or hating it. 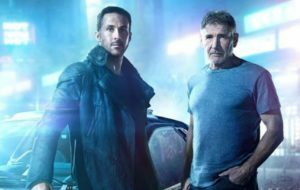 Blade Runner 2049 is a 150-million-dollar art house film that was marketed as a blockbuster. This isn’t your typical sci-fi with tons of action and explosions, but rather a slow-moving intelligent one that requires you to have your brain fully turned on and engaged. This is personally one of my favorite films of the year as well as one of the most interesting sci-fi experiences I’ve ever had at the theater. If you can get past the almost 3-hour long runtime, you most certainly should not miss this one!